The resume writing process is perhaps the most important part of your job search. Regardless of experience level, current position, or amazing random talents, you won’t be considered for jobs unless you first create attention grabbing resumes. The following websites are fantastic places to build killer resumes that will get you noticed! CV Maker lets job seekers create custom resumes online for free. The website features a wide variety of templates to choose from, as well as a super, simple interface for collecting information on experience and skills. The site is approved by The New York Times, The Huffington Post, and Mashable. Endorsed by Forbes, Business Insider, and Yahoo!, Kick Resume allows job seekers to create beautiful resumes and cover letters. All of the templates are created by designers, and the styles are colorful and attractive. The site is free with unlimited downloads. Online CV Generator lets job seekers design their own custom resumes with an easy, step-by-step, fill in the blank questionnaire. The website claims they can create resumes in less than five minutes, but in reality it will likely take closer to 10-15 minutes, unless job seekers are recent grads with no experience to add into the algorithm. With Papers Gear, job seekers can either order custom resumes written by professional writers, or they can hire them to edit or proofread their resumes before submitting them to potential employers. 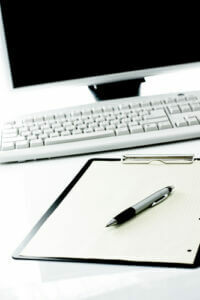 The writers can also help job seekers format their resumes. Visual CV is a resume creation website that lets job seekers sign in via LinkedIn. The site can import all of their data from LinkedIn, so they don’t have to go through the sometimes tedious process of adding all of their job histories. The site has a wide collection of templates to choose from. Unlike other sites, the templates are divided by profession. So, engineers will have different template recommendations than consultants. When applying for jobs, job seekers might learn they need multiple versions of their resumes. Instead of spending valuable time rewriting resumes over and over, they could hire an essay writing service to do that for them. Ask Petersen offers up reviews of the top custom writing sites so job seekers can find the best option for their resumes. Visualize.me is very different from other resume creation websites because it allows job seekers to create infographic resumes. Instead of a boring list of accomplishments, they can create a mind map for their past. Essays Capital is a custom writing service for students and professionals. In addition to resumes, they also write essays and cover letters. Hire them to create a resume for you or to edit and format your existing resume. Represent offers many of the same options as other resume creation websites, but it also automatically formats your resume for mobile devices as necessary. So, no matter where potential employers decide to open the file, they’ll be able to view it easily. What makes Resume Bucket stand out from the other websites is once job seekers create their resumes, they can apply for jobs directly from the website. The days of fending for yourself when creating a resume are over. Today, job seekers have a plethora of resources at their fingertips. These 10 websites are wonderful places to start when they write their resumes. Be sure to choose the one that is best for your particular skill set and career path. Good luck! Do you need some resume help for your job search? Get a free resume critique at College Recruiter. Also, visit our blog and follow us on Facebook, LinkedIn, Twitter, and YouTube. 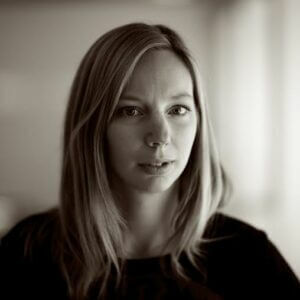 Anna Olinger is a freelance content manager from Washington, DC. For more tips on content marketing, writing, and social media, follow Anna on Twitter and Linkedin.